Below you fill find all funeral homes and cemeteries in or near Bonne Terre. Suburbs of Bonne Terre: Desloge, Park Hills. Bonne Terre is also known as: St. Francois County / Bonne Terre city. Zip codes in the city: 63628. Saint Francois County funeral flowers can be purchased from one of the local funeral shops we partner with. Some of the notable people born here have been: Linda Black (politician), and Will Compton (american football player). Bonne Terre is a city in St. Francois County, Missouri, United States. The population was 6,864 at the 2010 census. The community was originally settled by the French in 1720 after lead ore was discovered. It was called La Bonne Terre, "the good soil." Bonne Terre was platted as a town in 1880.Since 2005, Missouri has conducted all of its executions at the Eastern Reception, Diagnostic and Correctional Center in Bonne Terre. It was noted on October 19th, 2018 that Willadean Aubuchon (Peppers) passed on in Orlando, Florida. Ms. Aubuchon was 84 years old and was born in Bonne Terre, MO. Send flowers to express your sorrow and honor Willadean's life. It was reported by The Commercial Appeal on July 17th, 2018 that Theresa Hamblen (Aubuchon) perished in Memphis, Tennessee. Ms. Hamblen was 89 years old and was born in Bonne Terre, MO. Send flowers to express your sorrow and honor Theresa's life. It was reported on April 24th, 2018 that Andrew Jackson II McElwain died in Bonne Terre, Missouri. McElwain was 75 years old and was born in Auto, WV. Send flowers to express your sympathy and honor Andrew Jackson II's life. It was noted by The County Journal on March 22nd, 2018 that Thomas J Jr Gower passed away in Chester, Illinois. Gower was 77 years old and was born in Bonne Terre, MO. Send flowers to share your condolences and honor Thomas J Jr's life. It was revealed on December 16th, 2016 that Richard Allison Rittmaster perished in Monterey, California. Rittmaster was 88 years old and was born in Bonne Terre, MO. Send flowers to express your sympathy and honor Richard Allison's life. It was written by The County Journal on September 15th, 2016 that Branda D Ledbetter (Cain) passed on in Valmeyer, Illinois. Ms. Ledbetter was 60 years old and was born in Bonne Terre, MO. Send flowers to share your condolences and honor Branda D's life. It was written by The County Journal on August 11th, 2016 that Luther Joseph Byington died in Sparta, Illinois. Byington was 78 years old and was born in Bonne Terre, MO. Send flowers to express your sympathy and honor Luther Joseph's life. It was written by Peoria Journal Star on April 9th, 2016 that William C "Bill" Rodgers passed on in Washington, Illinois. Rodgers was 90 years old and was born in Bonne Terre, MO. Send flowers to express your sorrow and honor William C "Bill"'s life. It was disclosed by Current Local on March 17th, 2016 that Paul Kester perished in Bonne Terre, Missouri. Kester was 80 years old. Send flowers to express your sorrow and honor Paul's life. It was reported by Peoria Journal Star on January 9th, 2016 that George F Jr Calvert passed away in Peoria, Illinois. Calvert was 83 years old and was born in Bonne Terre, MO. Send flowers to share your condolences and honor George F Jr's life. 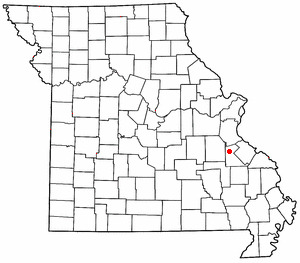 Francois County, Missouri Francois County, Missouri, United States. It was called 'La Bonne Terre', "the good earth.". The population was 4,039 at the 2000 census. The community was originally settled by the French in 1720 after lead ore was discovered. Bonne Terre is a city in St.
She served as president of the Central Missouri Food Bank in 2008 ... State Board of Embalmers and Funeral Directors The Governor has appointed Archie Camden, of Bonne Terre, as the public member to the State Board of Embalmers and Funeral Directors. Listing all funeral homes in Bonne Terre, Missouri so you can easily send flowers to any location (same day delivery) or find any funeral service. Find a Funeral Home inBonne Terre, Missouri MO to provide the caring burial and ceremonial services your family deserves. Boyer Funeral Homes, Bonne Terre, MO : Reviews and maps - Yahoo! Local, 573.358.2277. Get Ratings, Reviews, Photos and more on Yahoo! Local. Find crematories & Crematories in Bonne Terre, MO. Read business reviews, find driving directions, and more. crematories on YP.COM. Shearon, Linda - Shearin Funeral Home, Bonne Terre, MO : Reviews and maps - Yahoo! Local, 573.358.2228. Get Ratings, Reviews, Photos and more on Yahoo! Local. We work with local florists and flower shops to offer same day delivery. You will find budget sympathy flowers in Bonne Terre here. Our funeral flowers are cheap in price but not in value.